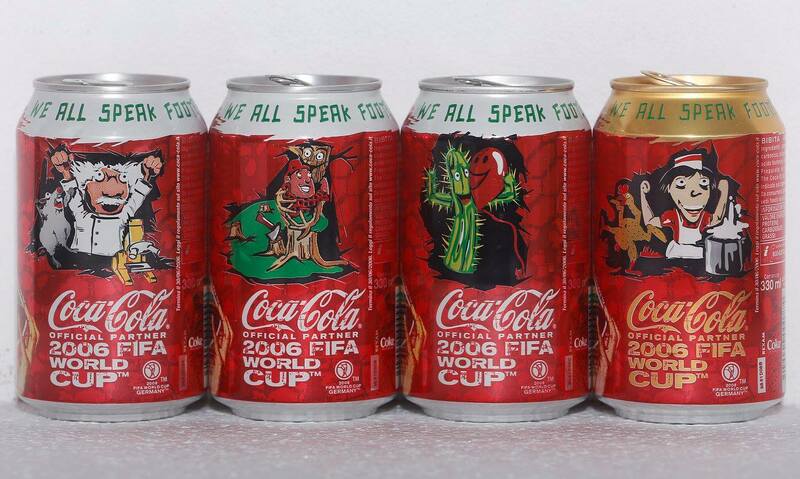 This set has issued in a special edition too. 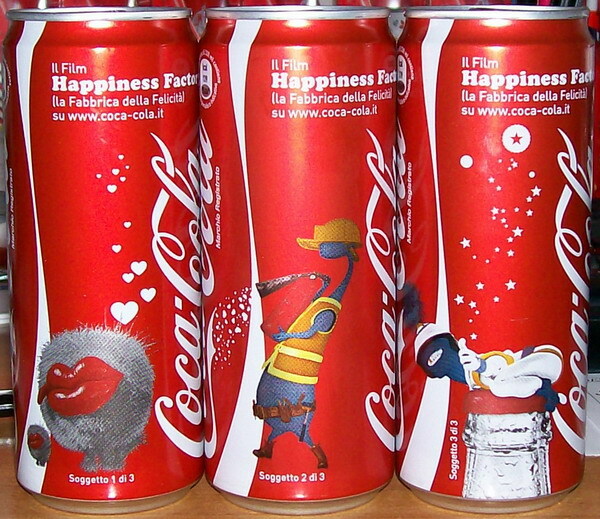 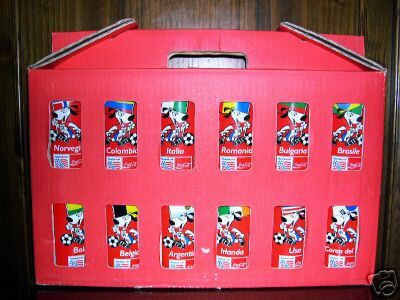 A red cartoon with the 24 cans inside. 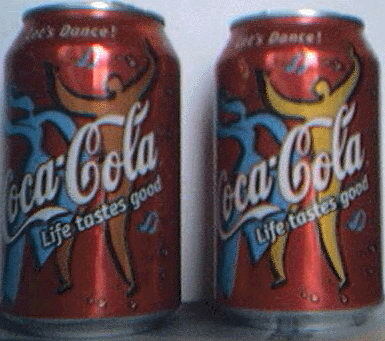 There are the same set with a large nec. 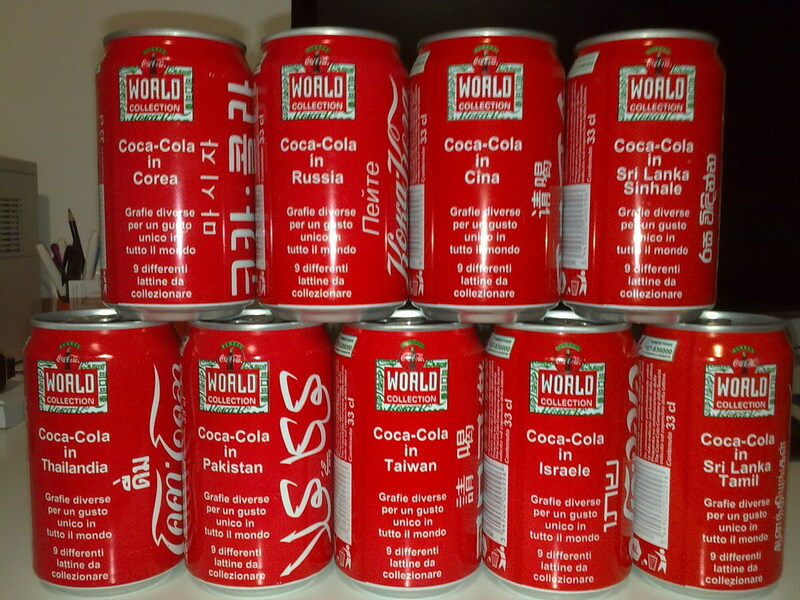 - 1di4. 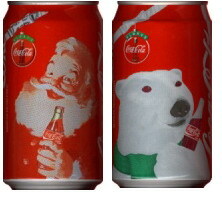 SantaClaus w/train toy (1962)"Seasons Greetings"
- 2di4. 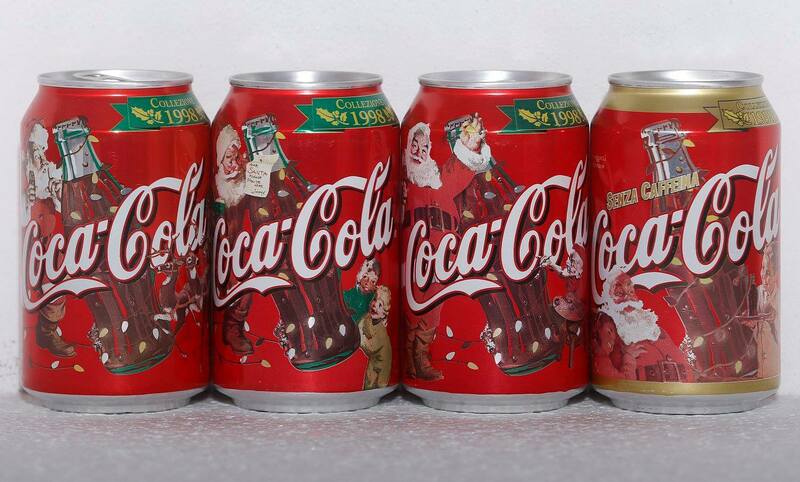 SantaClaus w/refrigerator (1959)"Refreshing Surprise"
- 3di4. 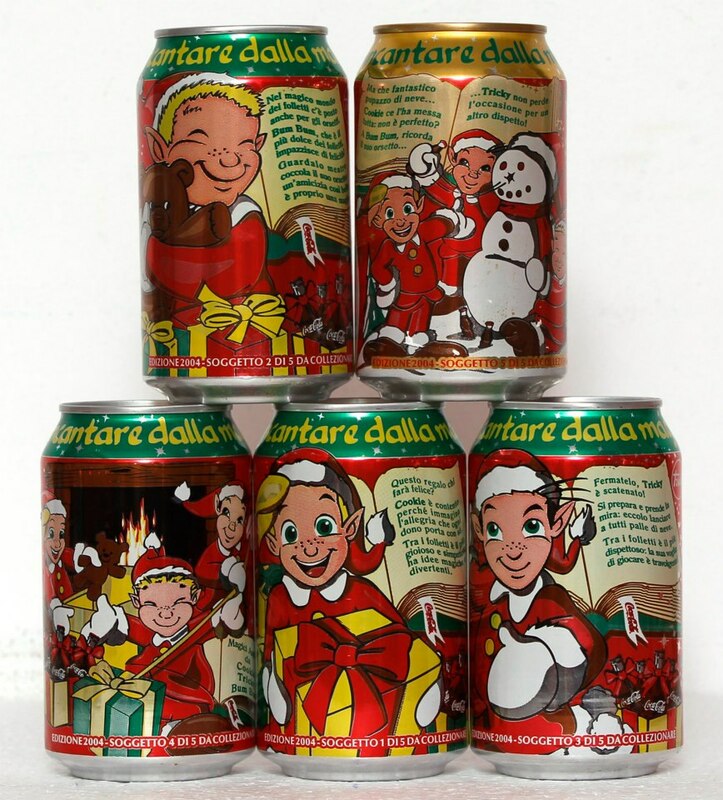 SantaClaus w/deer (1958)"The Pause that Refreshes"
- 4di4. 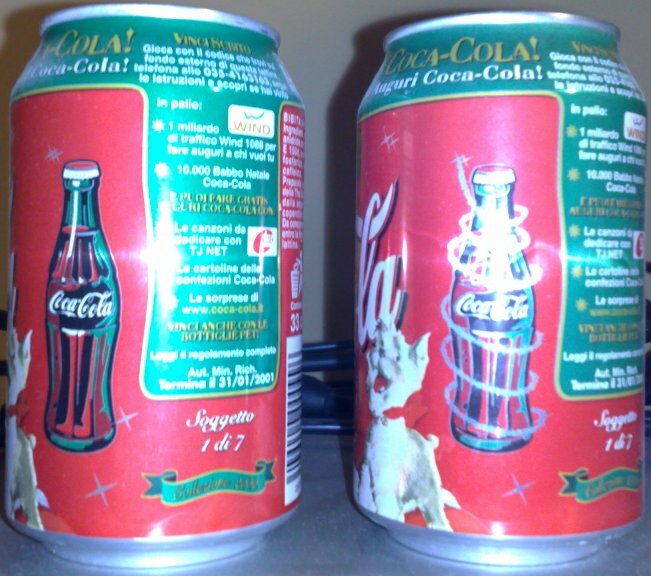 SantaClaus w/dog (1961)"When Friends drop in"
Frase 1 - Mangia Calcio, Respira Calcio, Bevi CocaCola. 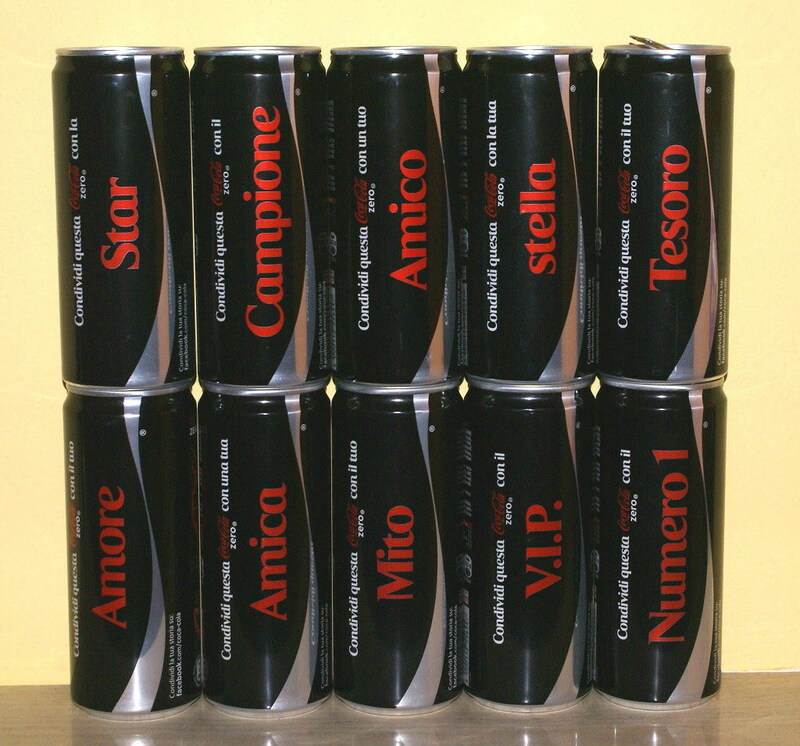 The can n.1 in the CF set does not exist. 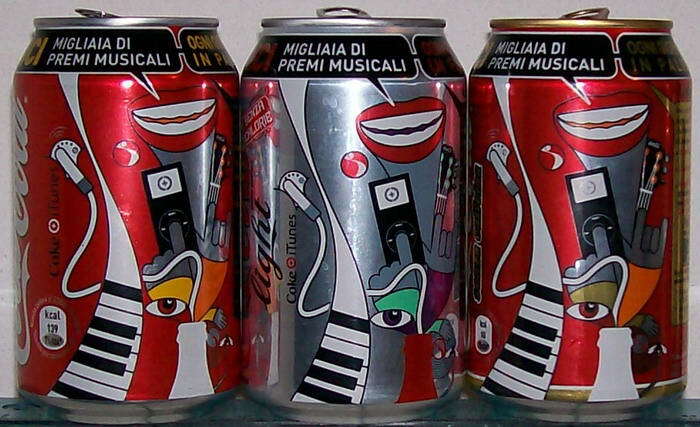 CC - "Vinci ogni Giorno...", Black strip on the top. 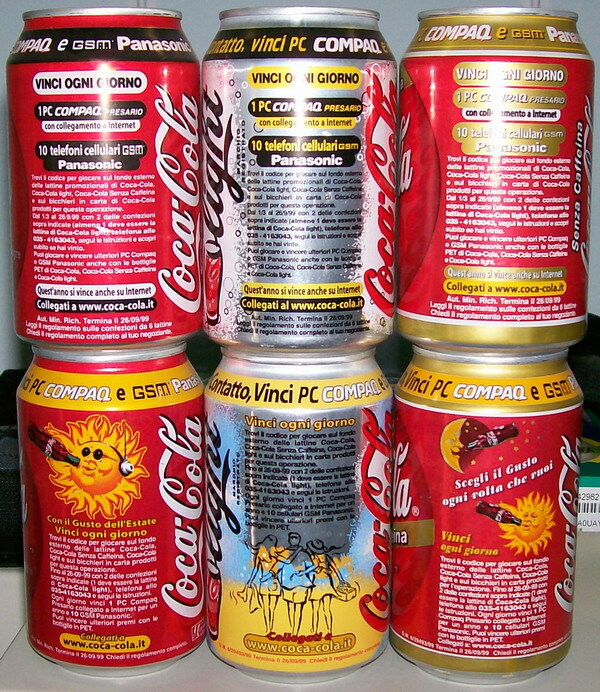 CL - "Vinci ogni Giorno...", Black strip on the top. 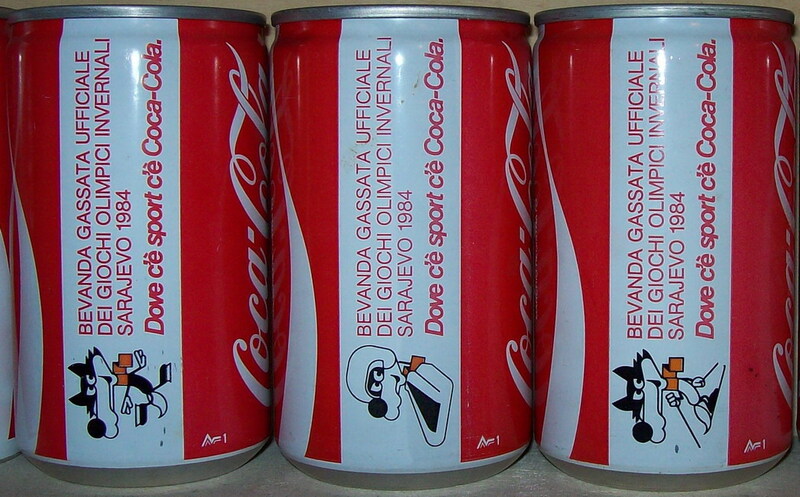 CF - "Vinci ogni Giorno...", Gold Strip on the top. 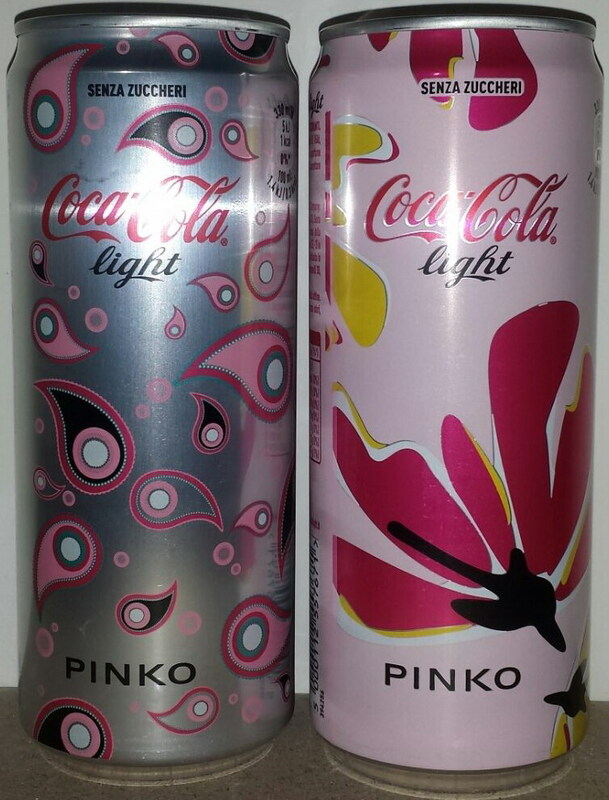 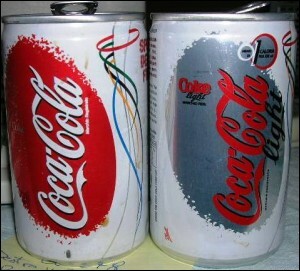 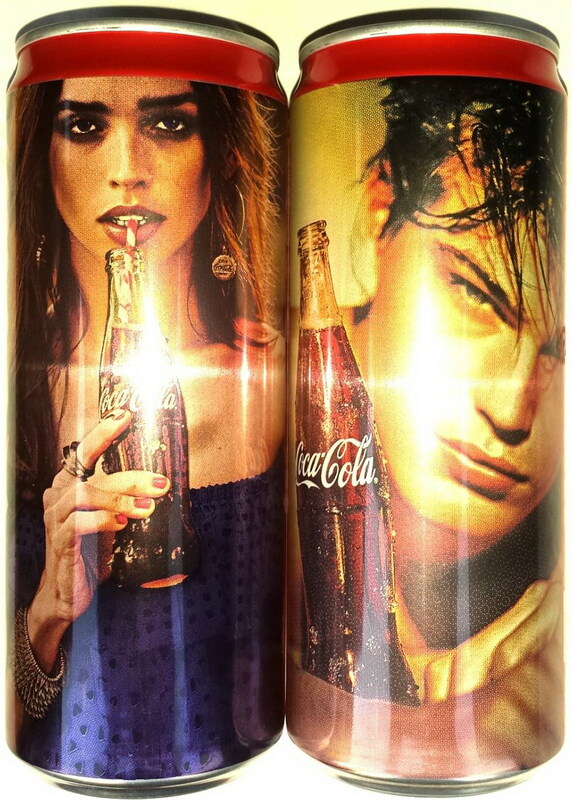 There is a variant of the can n.1: in the back of the can the contour bottle has a turn-around silver line. 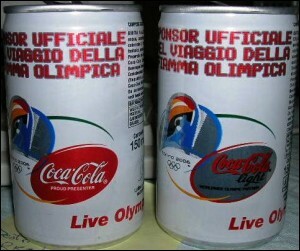 Can not for sale, given to the public in the city roads in the relay of the olympic flame day only. 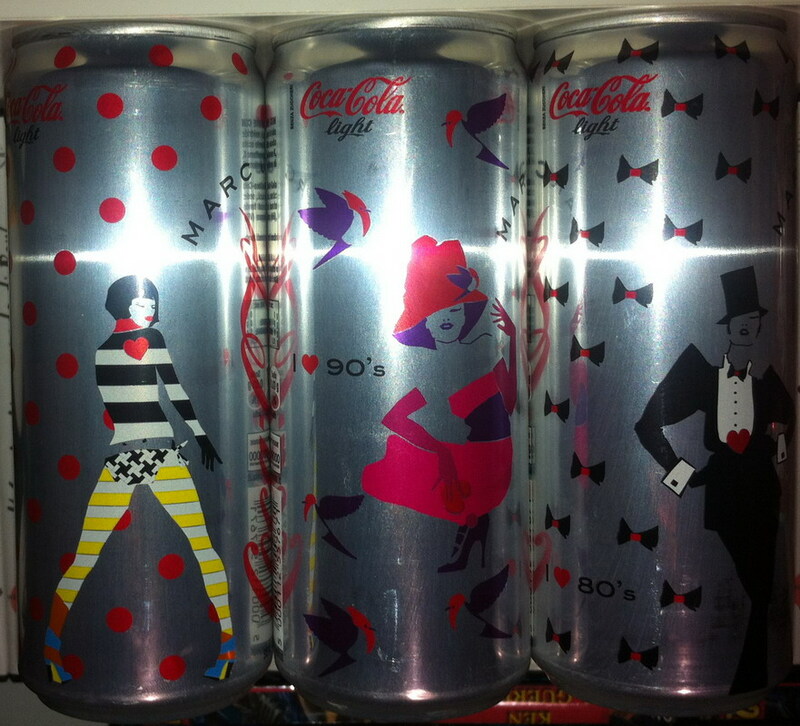 the set is composed of 4 different design. 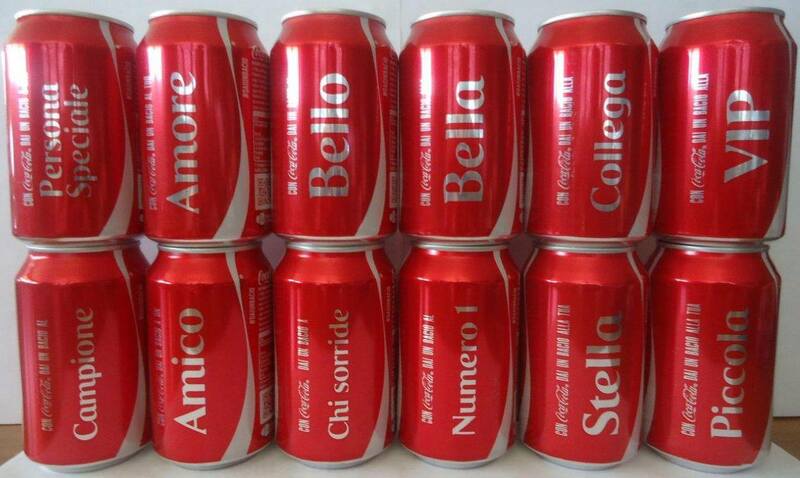 but if you want to complete the word "ITALIA" you must have 2xA and 2xI . 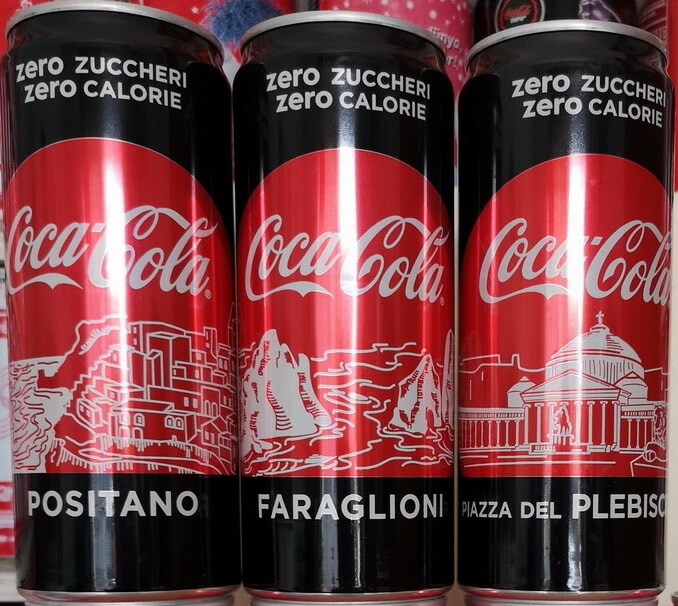 There is the same set produced in Sicilia region only. 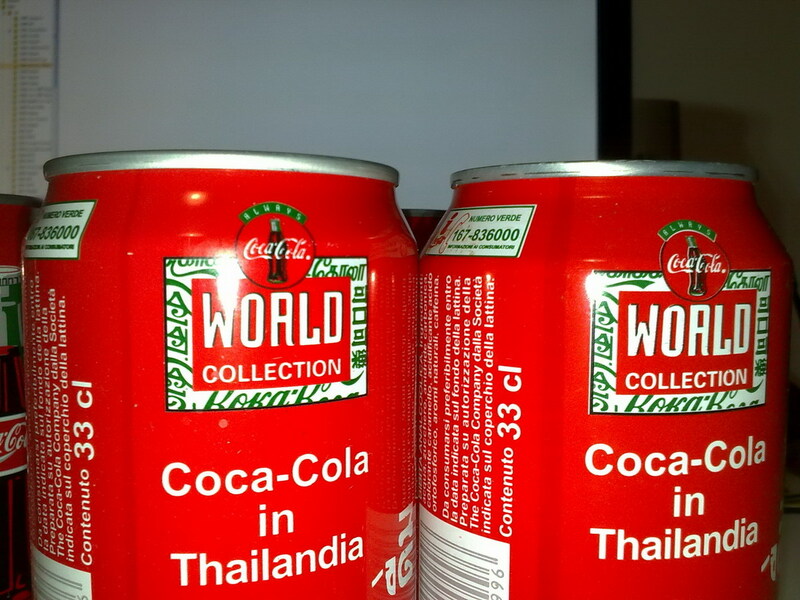 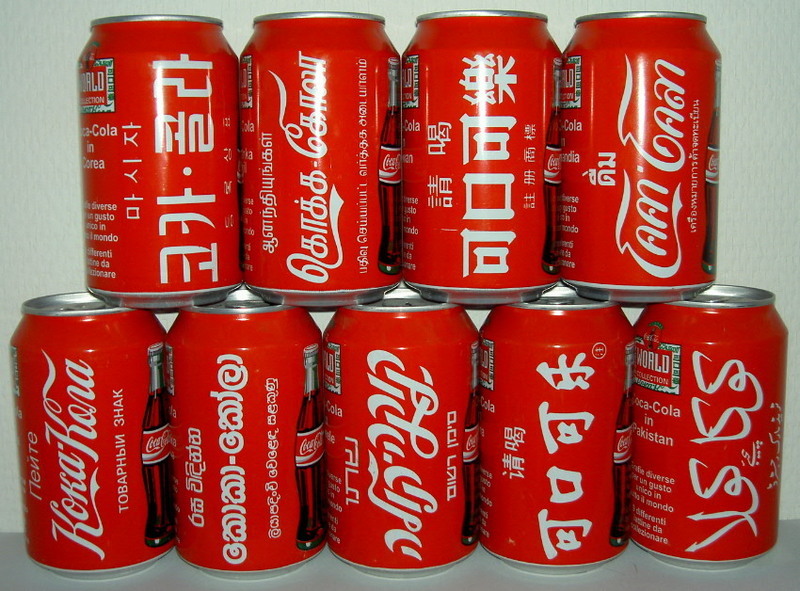 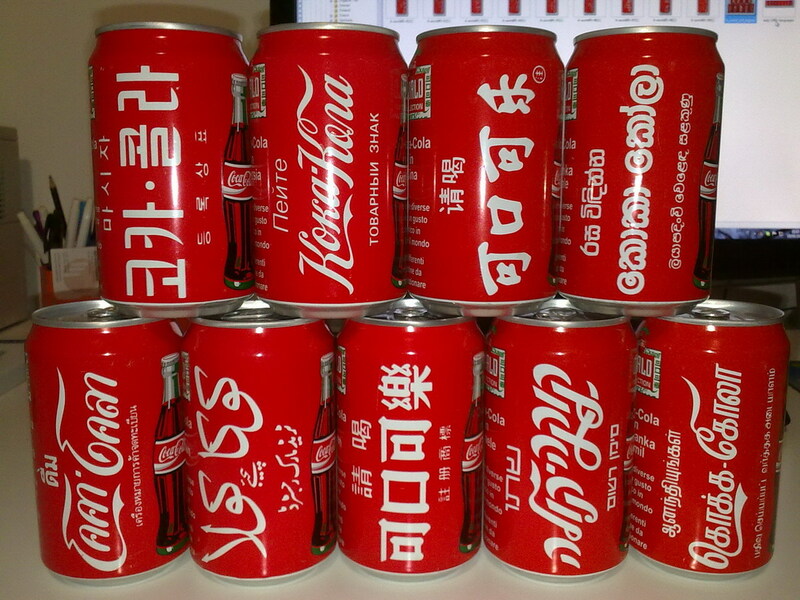 The difference is on the back of the can: the coca cola company name. 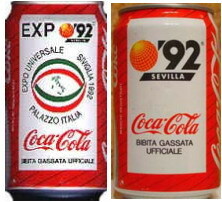 These cans were produced in Sicilia region only. 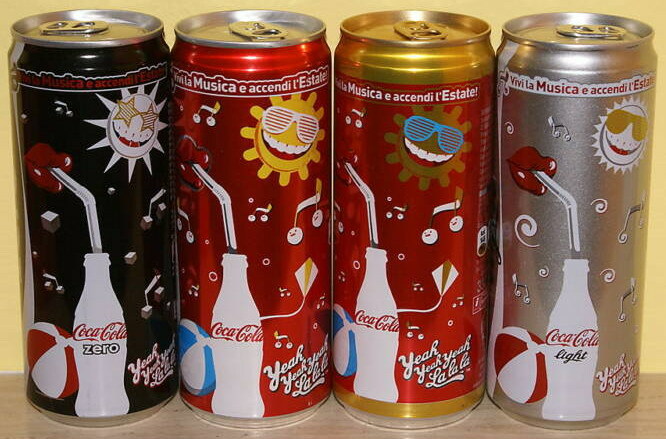 So very difficult find this kind of can, and a complete set too. 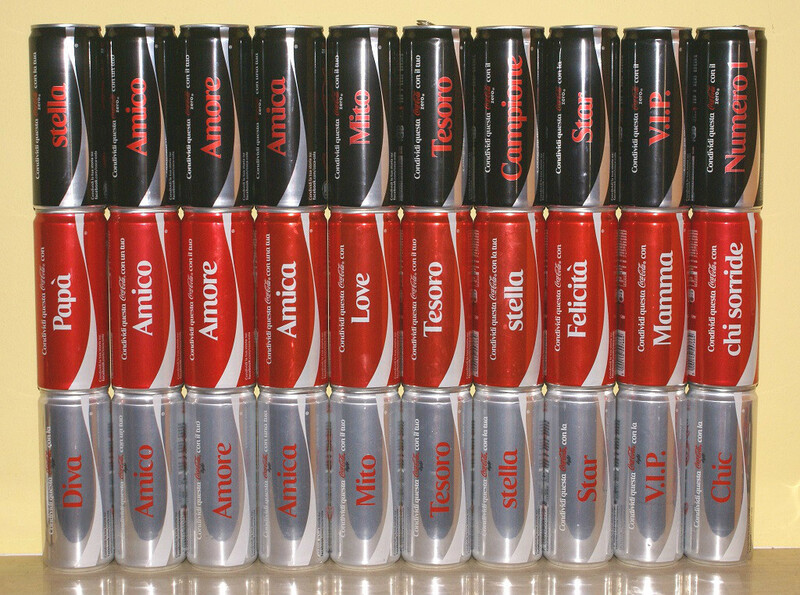 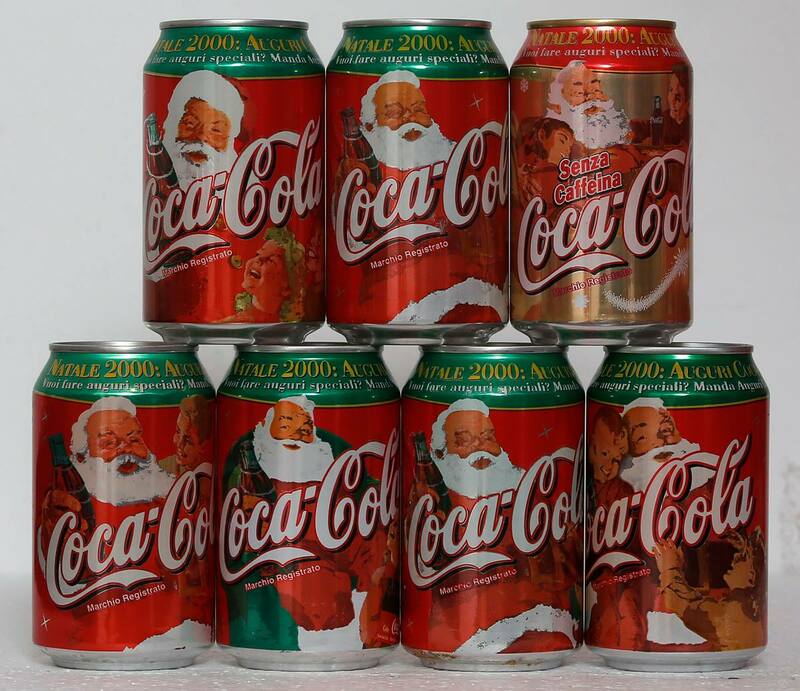 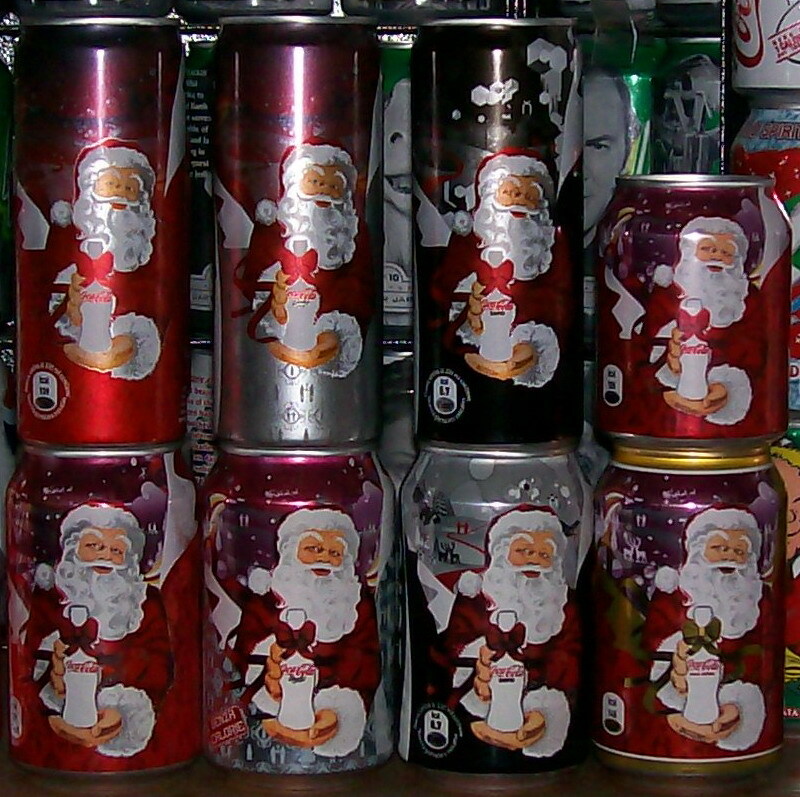 I don't know if the complete set is composed of 10 or 12 cans. 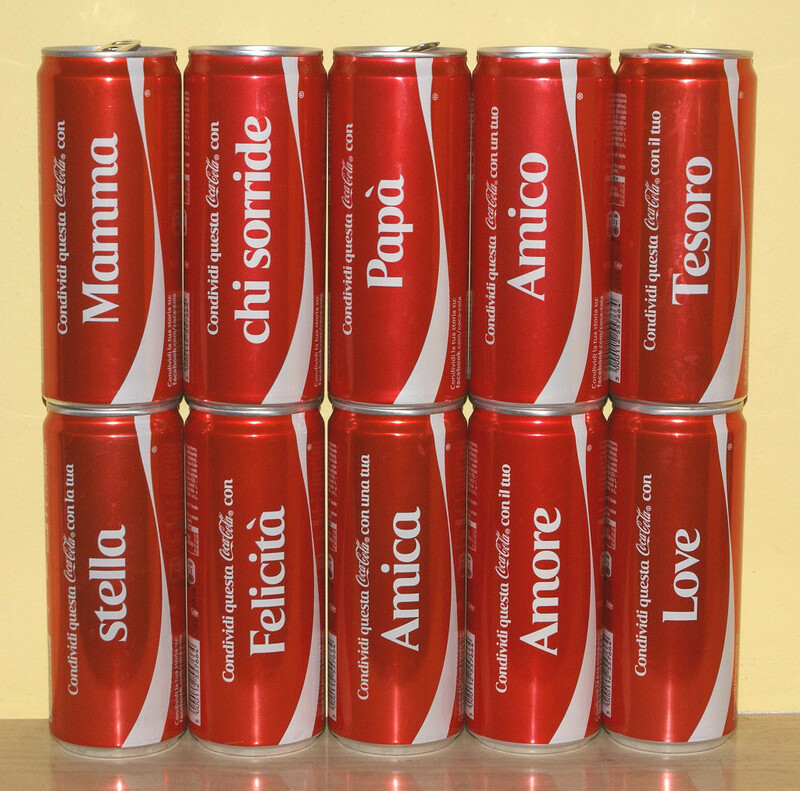 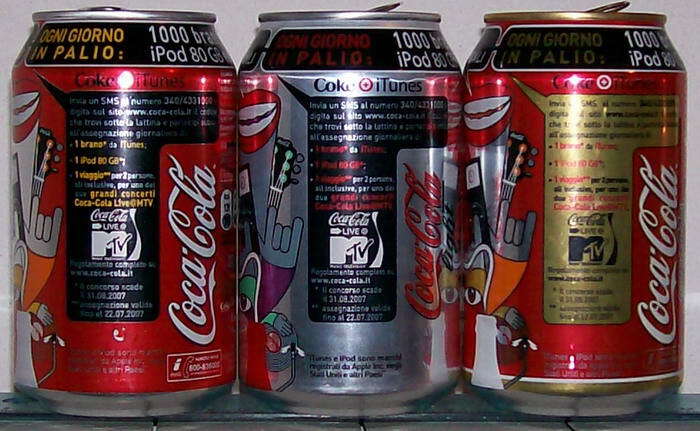 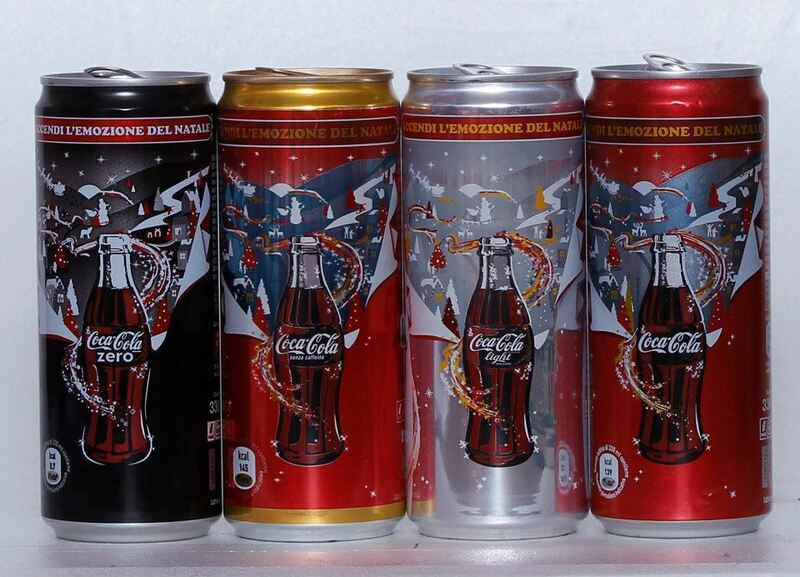 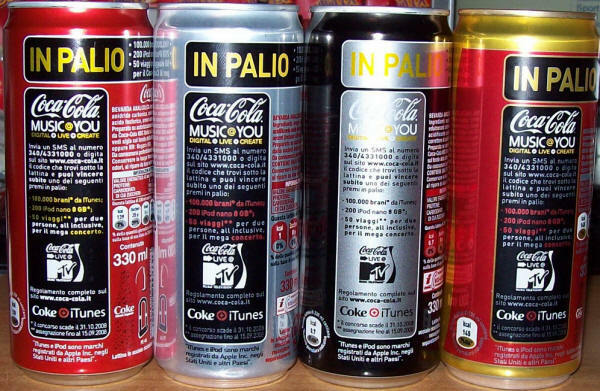 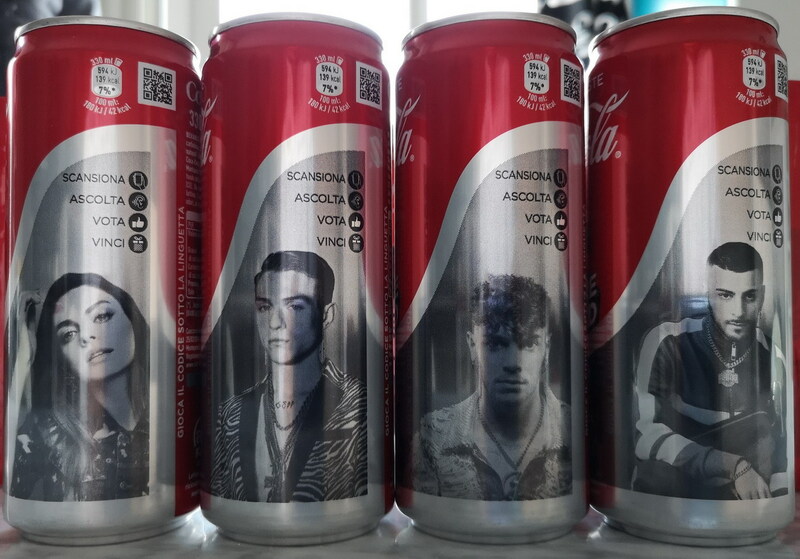 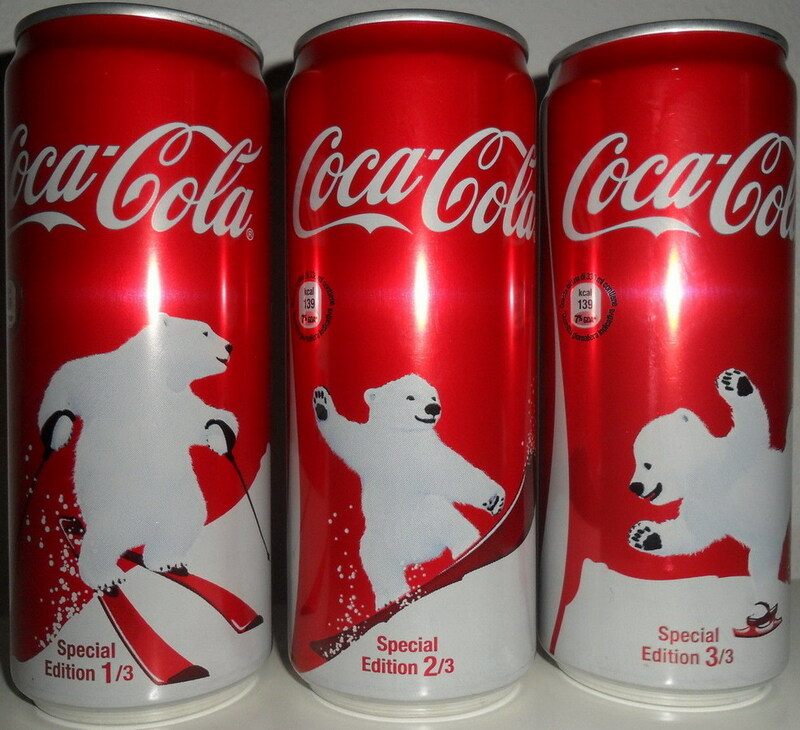 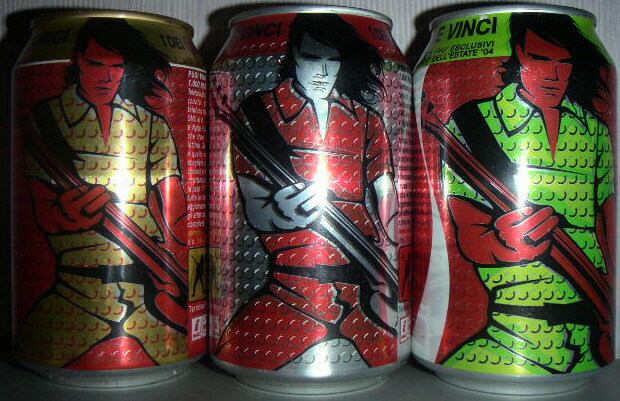 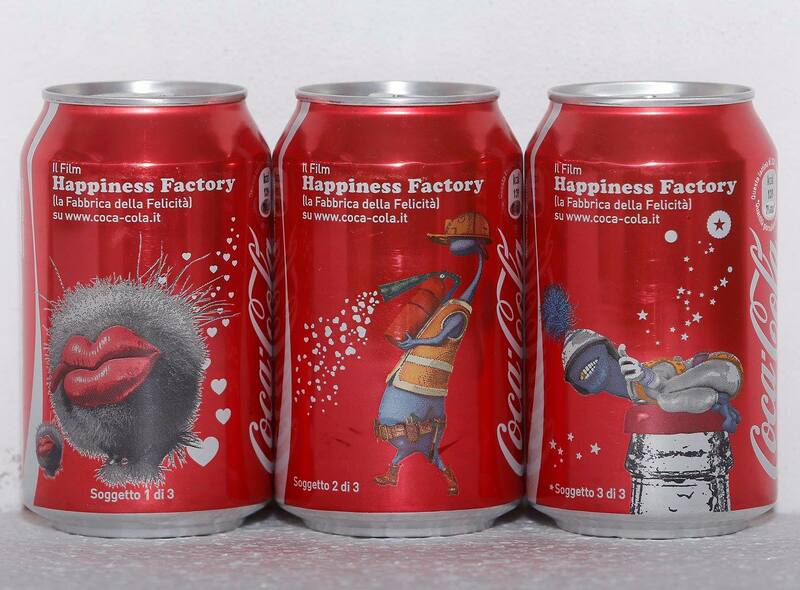 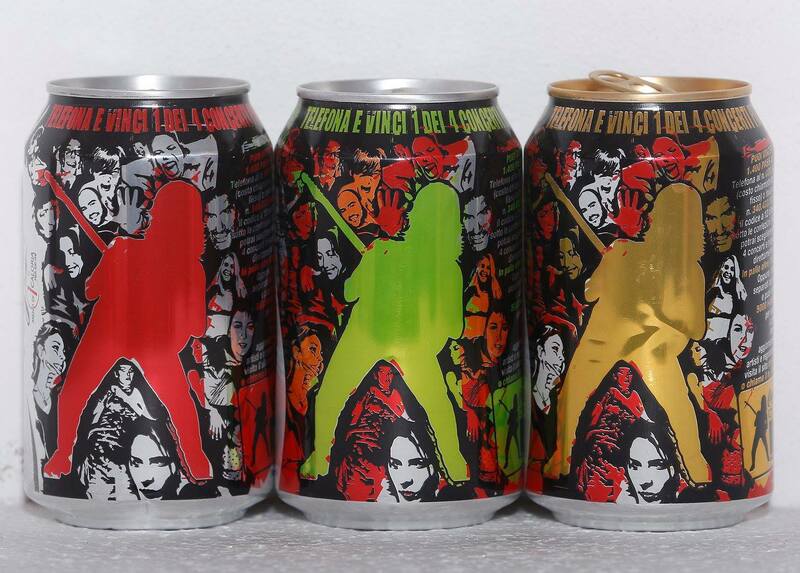 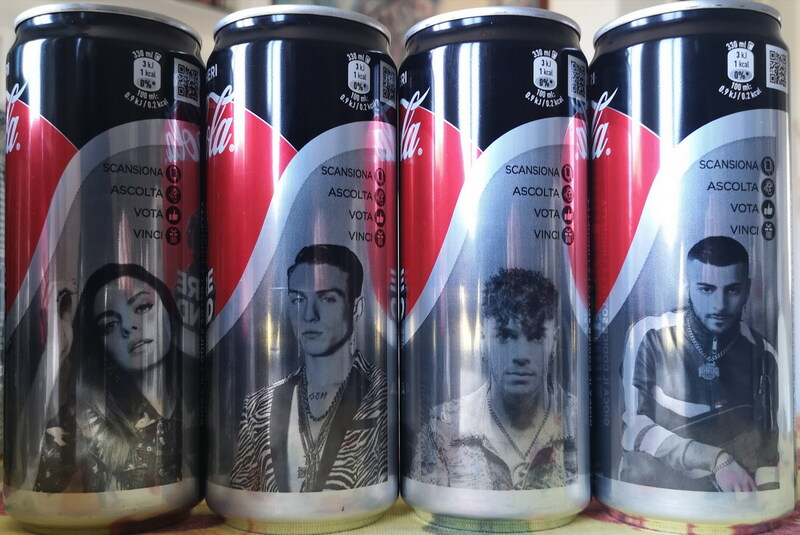 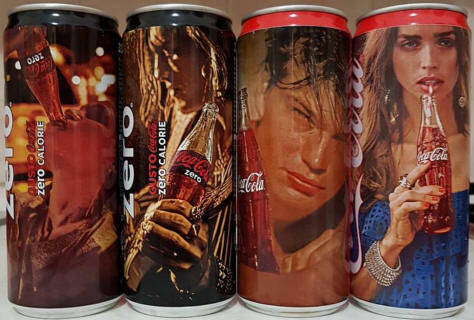 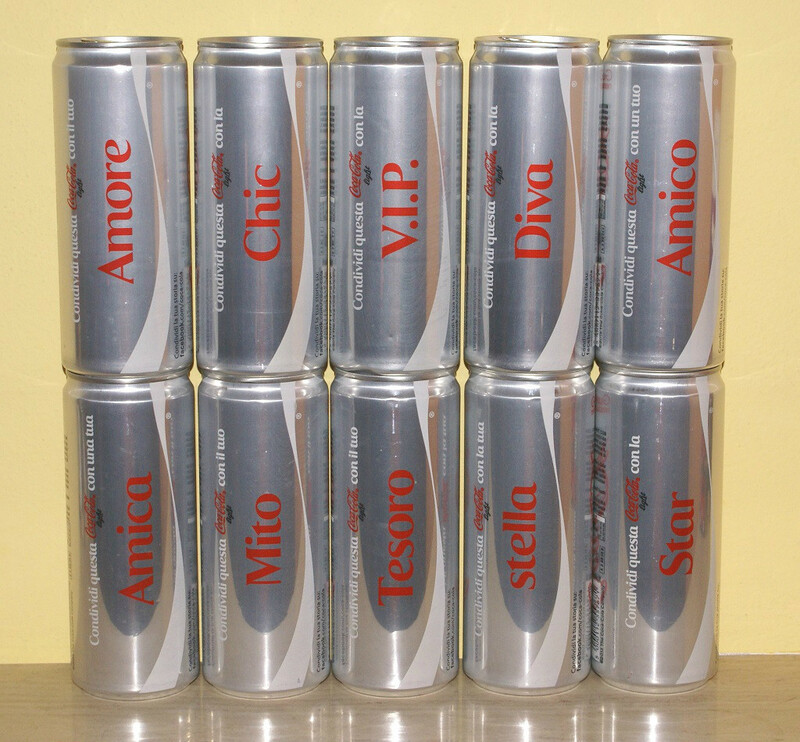 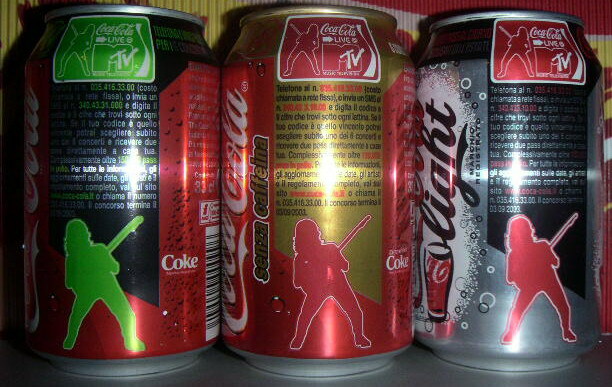 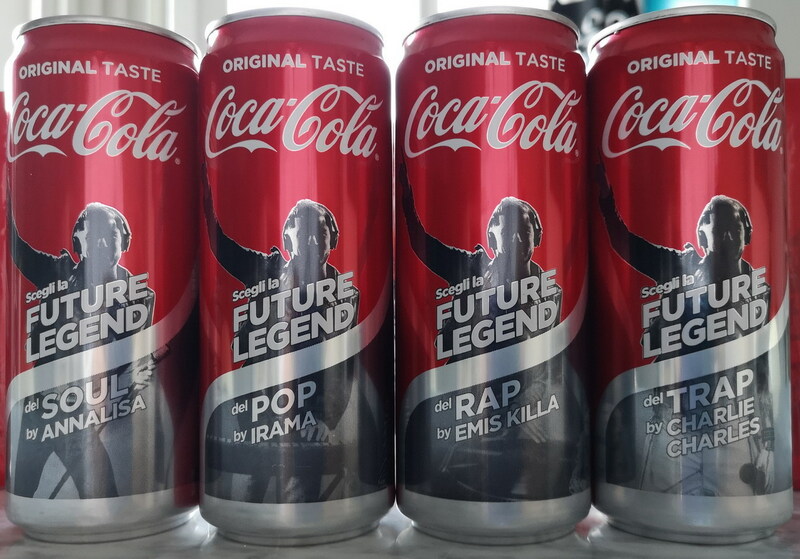 These cans were produced in Italy for VENDING MACHINE only. 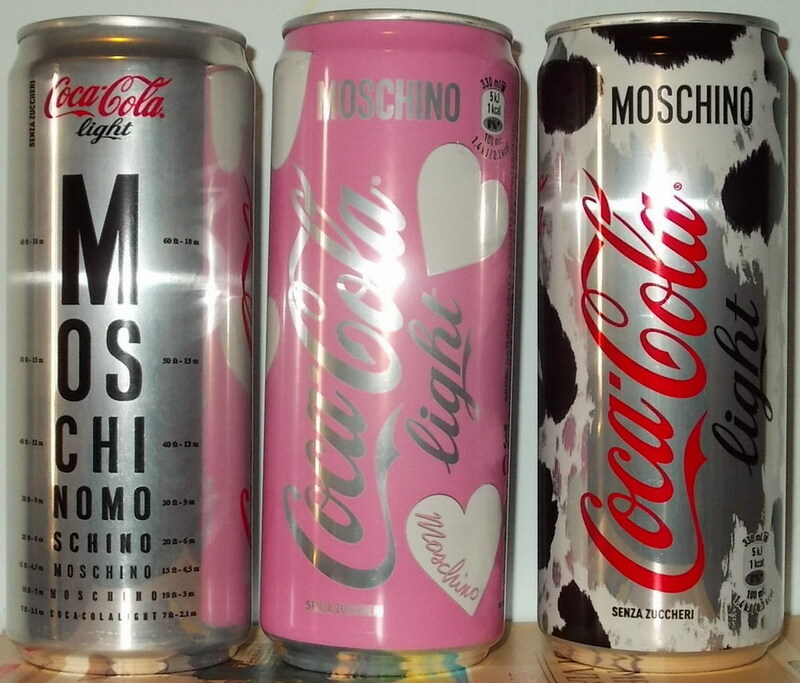 So very difficult find this kind of can, and a complete set too. 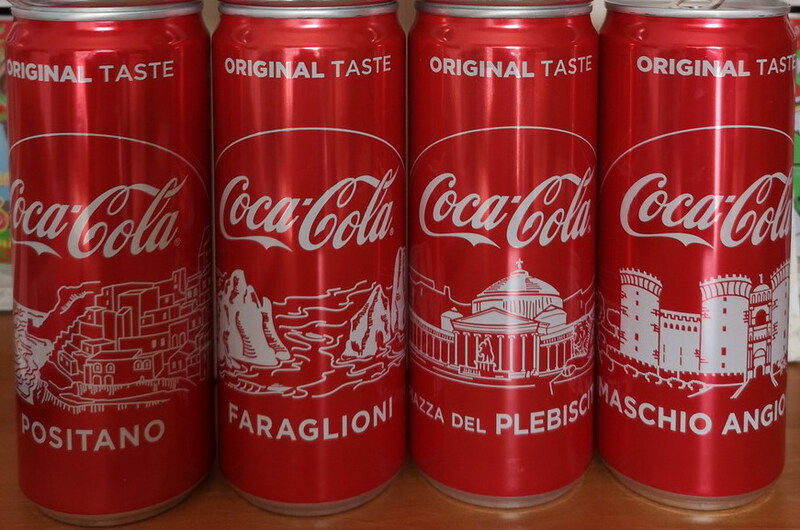 The silver can was produced in Sicilia region only. 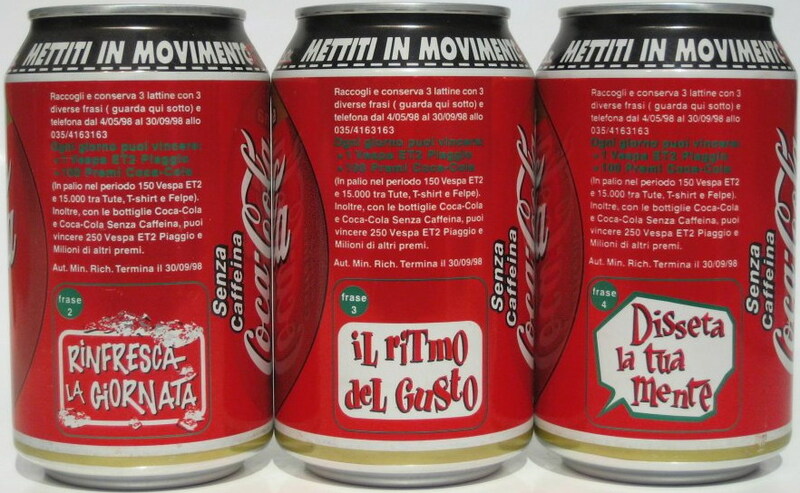 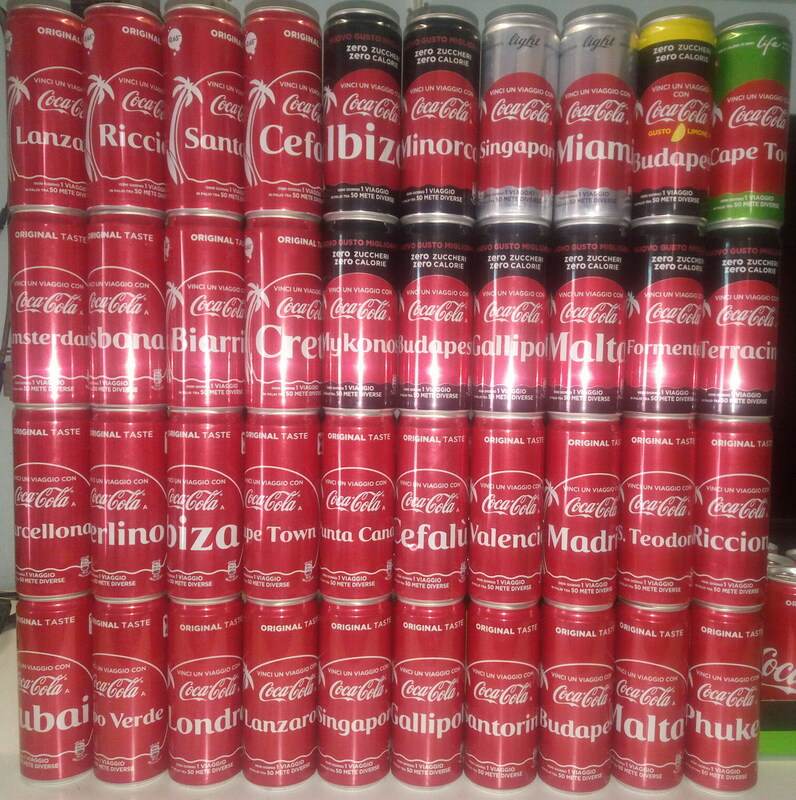 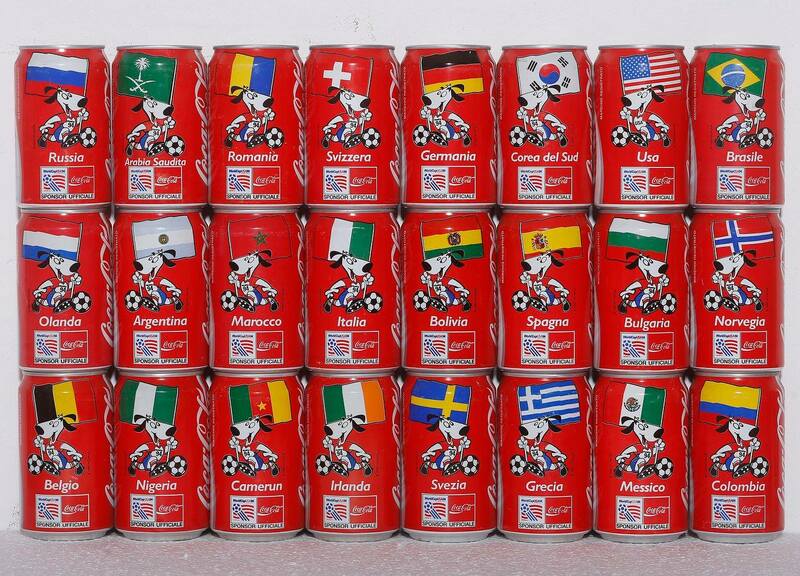 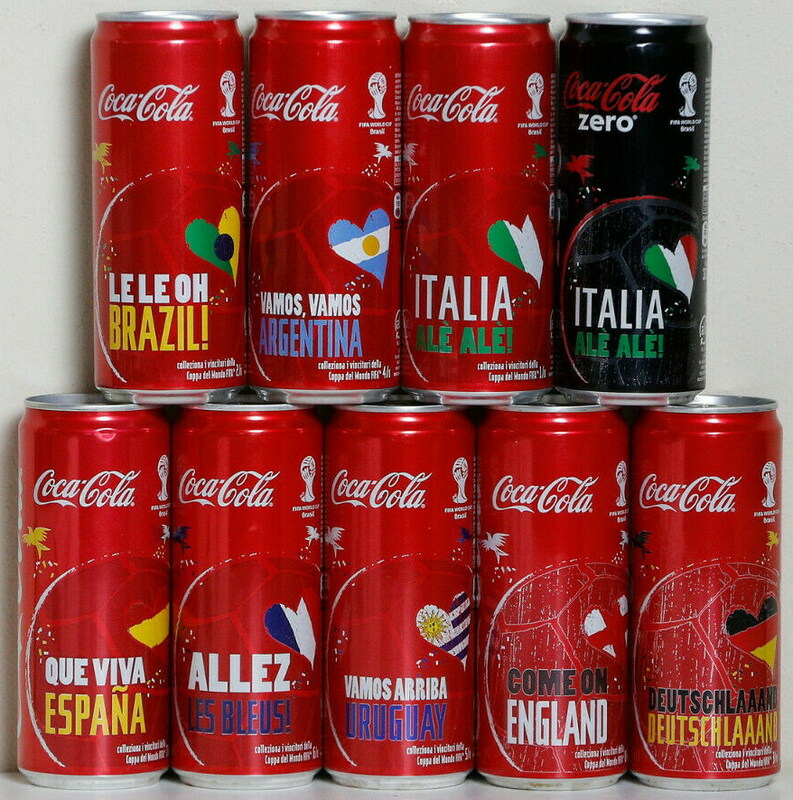 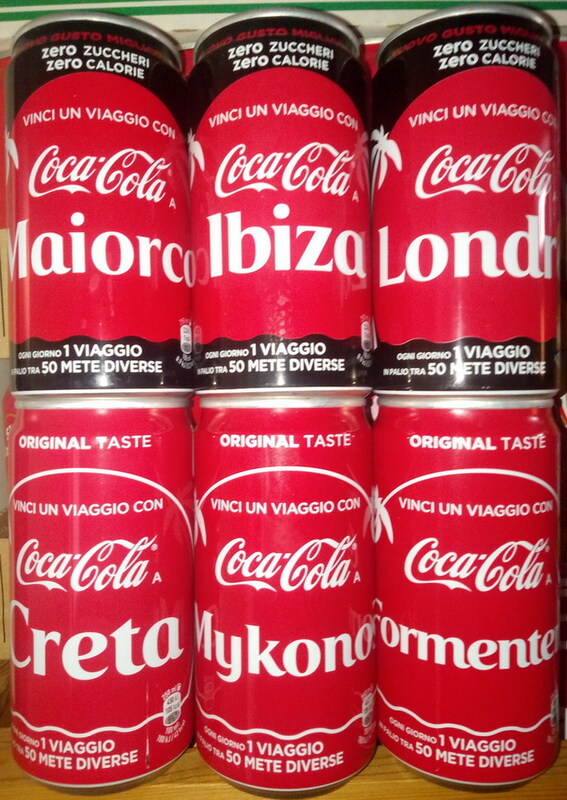 These cans were produced in one region of Italy, Sicily only. 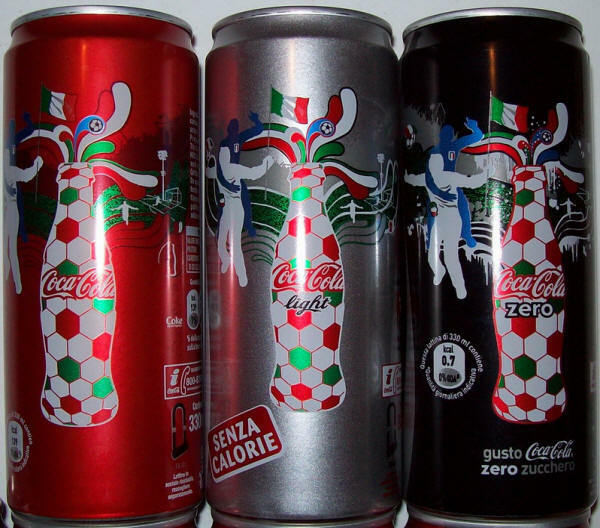 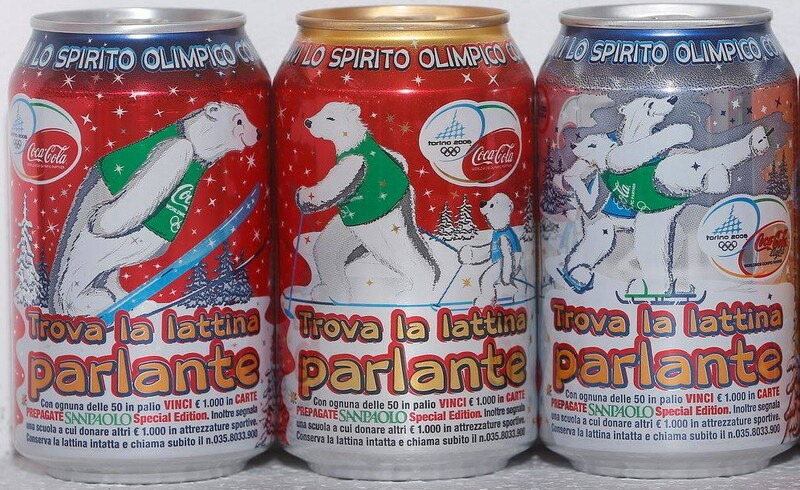 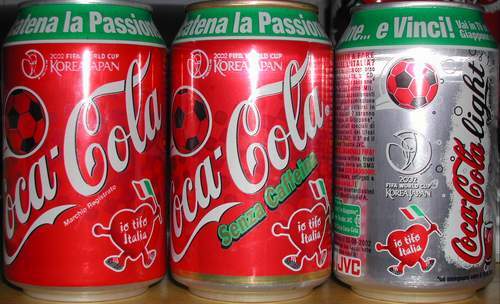 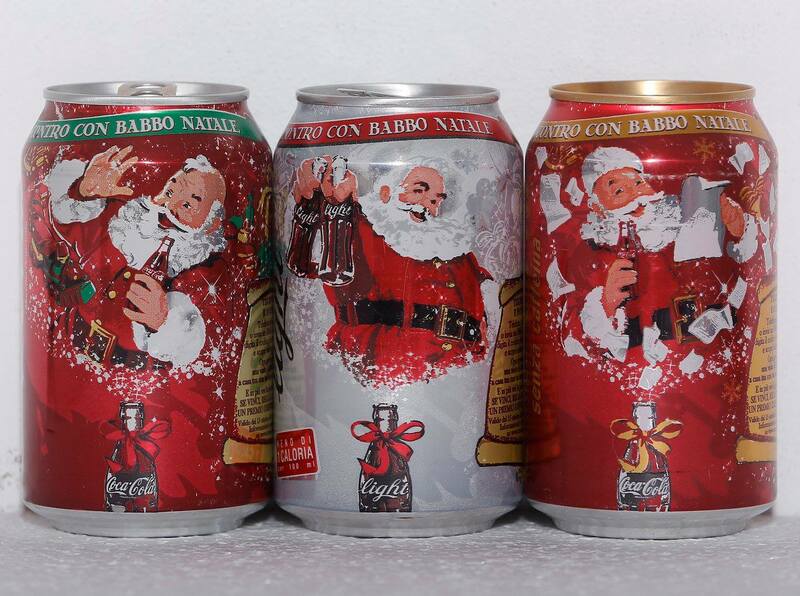 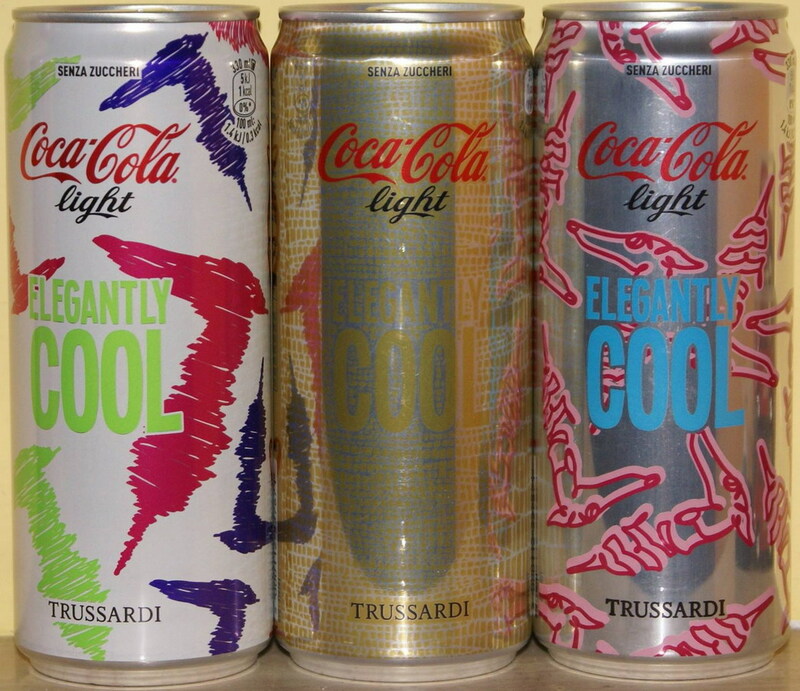 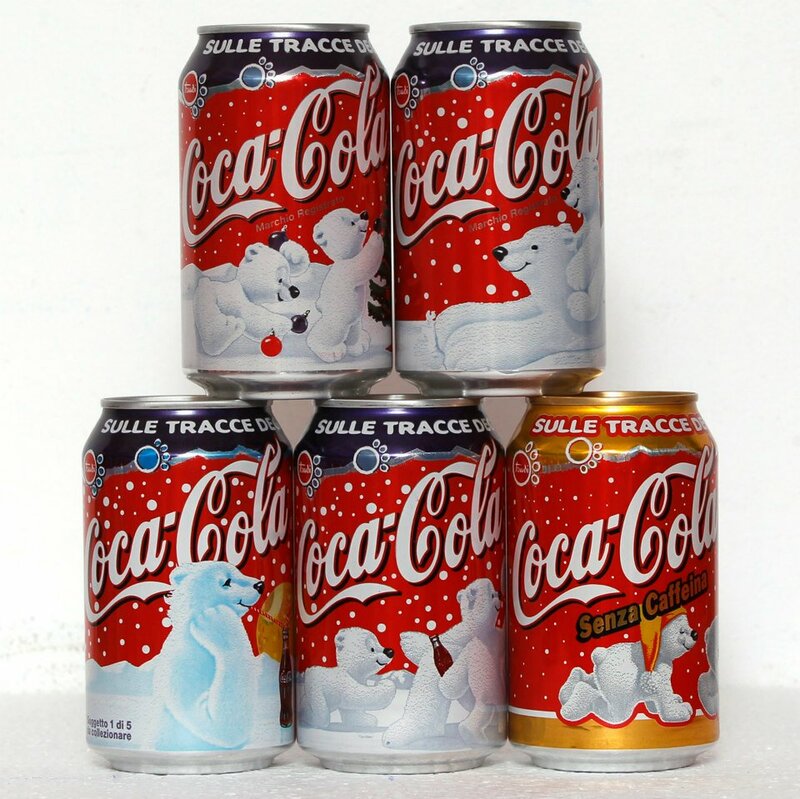 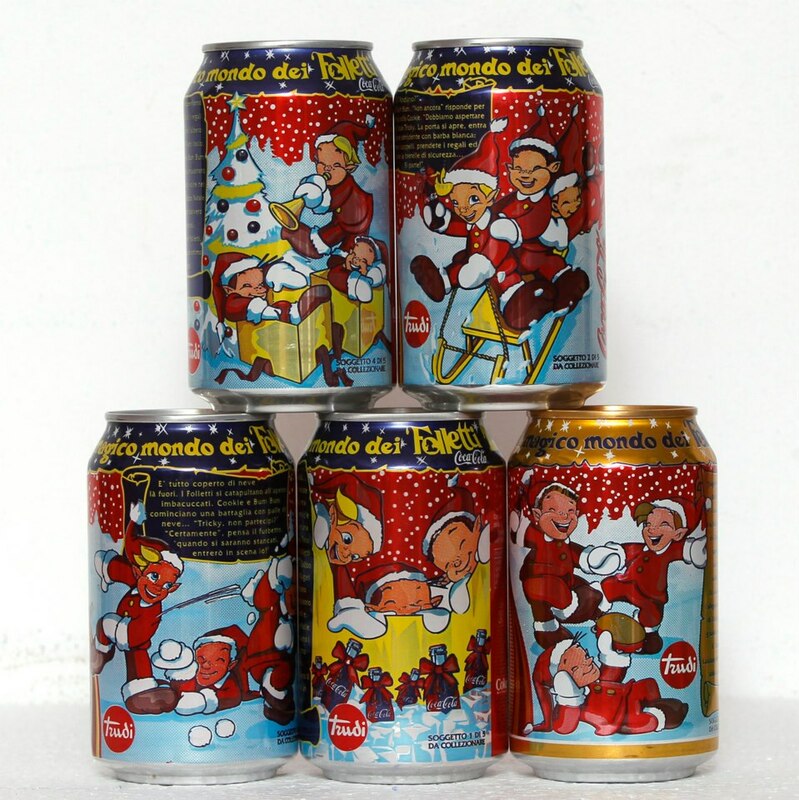 These cans (250ml) were produced in Italy for BAR only. 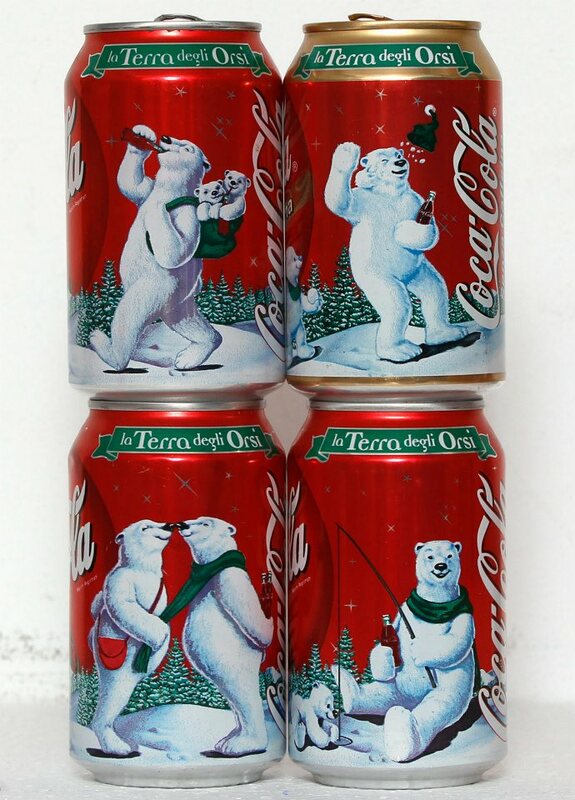 So very difficult find this kind of can, and a complete set too. 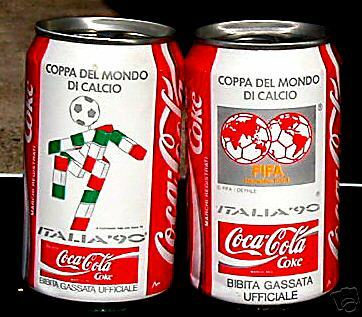 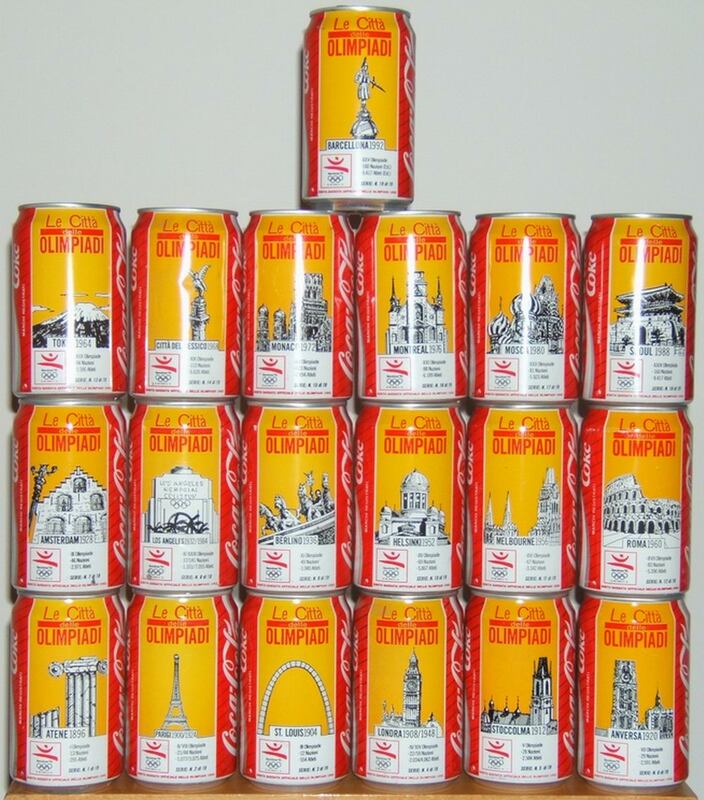 These cans were produced in one region of Italy, "Campania" only. 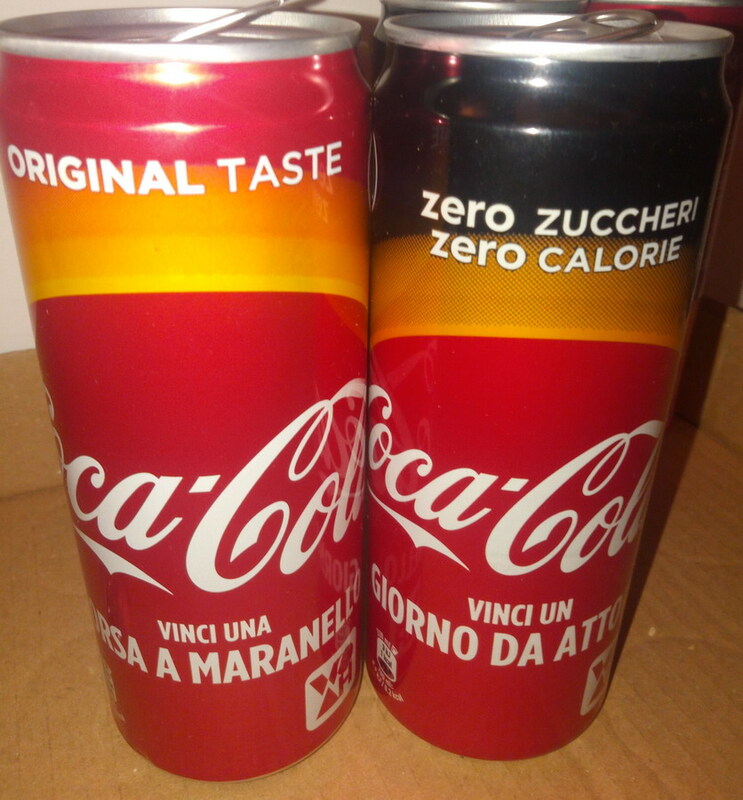 In CZ, MASCHIO ANGIOINO, was not released. 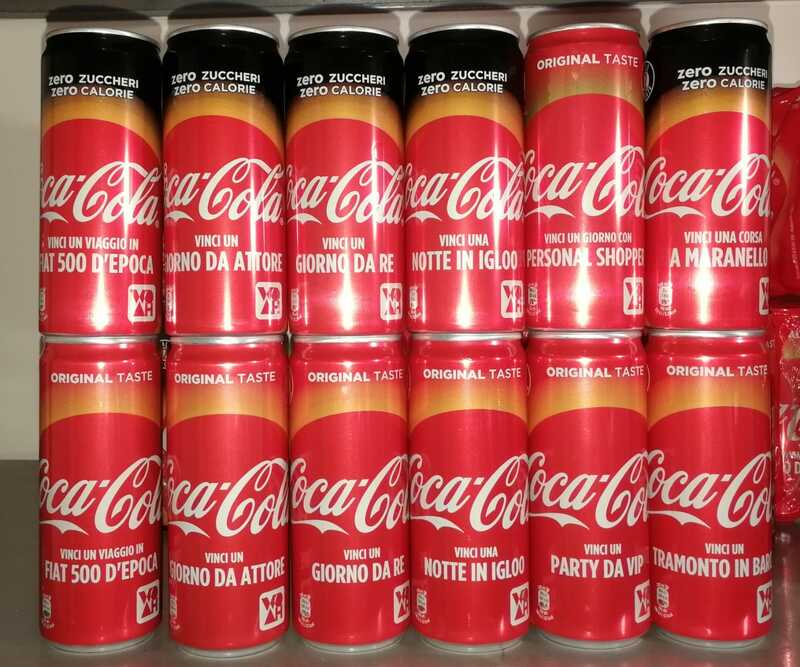 The 250ml cans was sold in the bar only.